Kate Bradley, Editor, Granta Books. Mr Wolf is a licentious rake. Against his will and better judgement he gets swept up with the White Princess in the battle of fun and beauty against the Raven and the forces of boredom and ugliness. 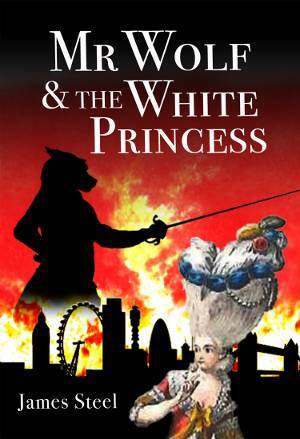 Set in a distorted modern London, the story is high-concept Bond meets Snow White. Mr Wolf and the White Princess must race against time as they fight to avert the Raven’s evil plan for destruction. But can they also resolve the mysterious chemistry between them? James Steel’s books have been selected for Waterstones Paperbacks of the Year and the Tesco Chart. James has spoken at the Hay Literary Festival and teaches creative writing at Oxford University. This is his first urban fairytale thriller.